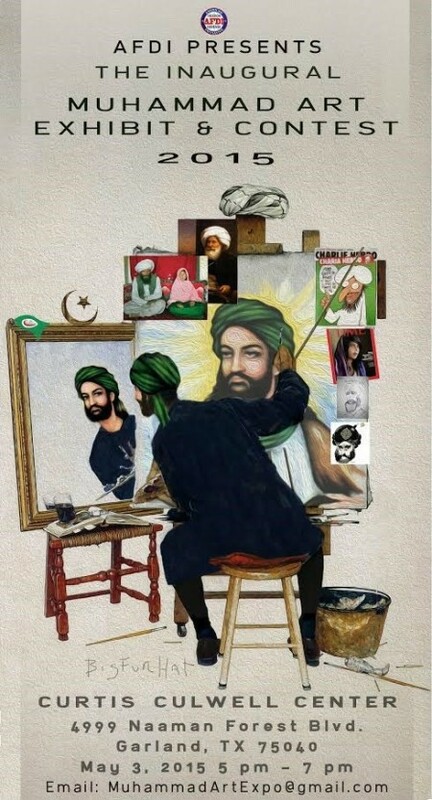 Pamela Geller and the American Freedom Defense Initiative are hosting the First Annual Muhammad Art Exhibit and Contest in Garland, Texas at the site where January’s “Stand with the Prophet” conference was held. This “Draw the Prophet” event will be held May 3rd, from 5pm-7pm at the Curtis Caldwell Center. The contest boasts a $10,000 dollar prize to the winning artist and is taking entries online. The event will feature both “historical” and “contemporary” adaptations of the Islamic prophet and the winner will be announced at the event. However art will not be the only thing on display at this event, Draw the Prophet will include speeches by multiple free-speech advocates. Geller’s event comes on the wake of the Islamic terrorist attack on the French magazine Charlie Hebdo in January. Following the attack, the Council on American-Islamic Relations (CAIR) scheduled the “Stand with the Prophet” conference at the public school district’s conference center. Geller, the President of the American Freedom Defense Initiative (AFDI), scheduled a protest outside the event that was attended by approximately 2,000 people. “The media can smear us and the President can stand with them,” Geller said. “We the people are not having it. If there is any proof of that, it’s today. We dwarfed them. If the Western media ran the Danish cartoons back when this Islamic supremacist movement first started gaining steam, the editorial staff of Charlie Hebdo would be alive today,” Geller stated in response to an inquiry from Breitbart Texas. “That said, the European press ran the Hebdo cartoons in the wake of that jihad slaughter. But the American press would not. The beacon of freedom, the shining light on a hill, is running scared. Well, that’s not who we are.